Hamble Powerboat Charters Gift Vouchers are totally flexible and a great gift for any occasion throughout the year. Gift Vouchers can be used as a deposit to secure your booking and chosen dates. 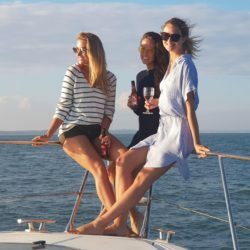 Can be redeemed as part payment toward one of our weekday or weekend full day charters, on board Allegro and True Colours. 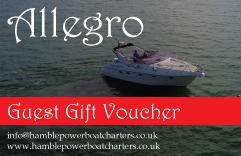 Gift vouchers can also be used for payment in full for one of our weekday “Charter Taster Experiences” on board Allegro. You will receive immediate confirmation of your order via e-mail.